Standard - $64.99 Only 2 left! Rest assured that you'll have a safe flight when this pilot is manuevering the plane. 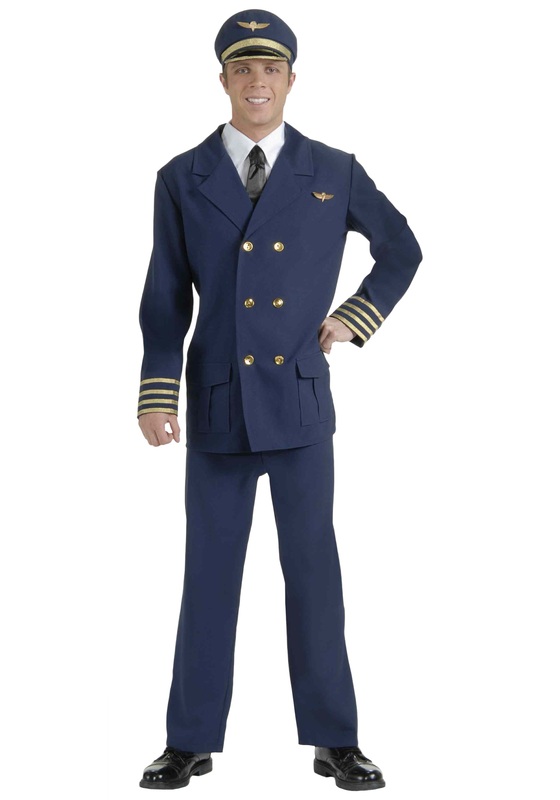 This Adult Airline Pilot Costume will make you look like a legit captain of a plane. You decide if you want to work for Delta, Jet Blue, or just be a pilot who flies private jets!